A large Ancient Thracian shrine (which may turn out to be a necropolis) has been discovered in the town of Karlovo by the Bulgarian archaeologists excavating the 15th century Lead Mosque (Kurshum Dzhamiya), a historical monument from the period of Ottoman Yoke (1396-1878/1912) when Bulgaria was part of the Ottoman Empire. The discovery of the Thracian shrine, part of which lies below the Lead Mosque in Karlovo, has been made public by Kostadin Kisyov, Director of the Plovdiv Museum of Archaeology, who participates as an expert in the commission evaluating the excavations of the Muslim temple. “To our great surprise, underneath the foundations of the mosque there is an [Ancient Thracian] cult facility. At present, we can’t say for sure whether it was solely a shrine, or there is also a necropolis,” Kisyov has told Radio Plovdiv. He adds that the Ancient Thracian shrine lying below the Lead Mosque (Kurshum Dzhamiya) is dated to the 5th-4th century BC. It is from the time of the Odrysian Kingdom, possibly the most powerful Thracian state ever, which thrived in the second half of the 1st millennium BC. Its dating is based on the discovery of a silver coin, a tetradrachm, from the Ancient Greek colony of Apollonia Pontica, i.e. today’s Sozopol on Bulgaria’s Southern Black Sea coast, and on the discovered Thracian ceramics. The Ancient Greek silver coin itself is dated to 440-400 BC. 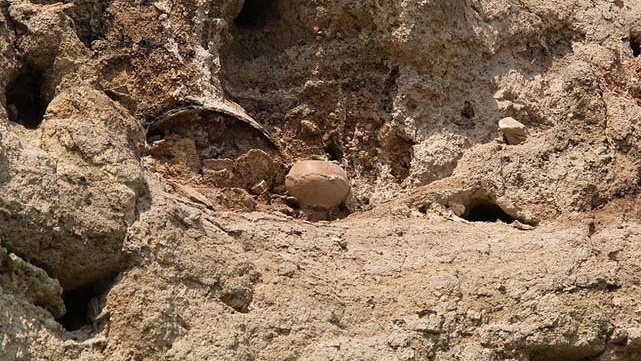 He points out that the ruins of the Thracian shrine lie at a depth of 1.7 meters, and this is the first time a structure from the Odrysian Kingdom has been found in the region of Karlovo. While the Ottoman Lead mosque was directly built on top of the ruins of the Thracian shrine, the shrine itself is larger in area than the Muslim temple, and the Bulgarian archaeologists are yet to figure out its scope. “In general, the Thracian shrines are facilities made of stone and mud shaped like a circle or a square, with their walls towering at 2-3 meters, and usually have no roof. These shrines were used for different cult rites, sacrifices to the gods, ritual breaking of vessels, ritual wine drinking, etc. This may also turn out to be a Thracian necropolis which means we may find graves or tombs with rich inventories. This would make the discovery even more interesting,” explains the Director of the Plovdiv Museum of Archaeology. Kisyov adds that once the site of the Lead Mosque in Karlovo is fully studied, it can be turned into a Museum of Religions featuring the excavated ruins of the Thracian shrine. The excavations of the Lead Mosque (Kurshum Dzhamiya) built by a local Ottoman Turkish governor in 1485 AD are led by Prof. Margarita Vaklinova from the National Institute and Museum of Archaeology of the Bulgarian Academy of Sciences, with the participation of the Director of the Klisura Museum of History Stoyan Ivanov. In the first three days of the archaeological excavations in Karlovo, the Bulgarian archaeologists discovered a large Turkish cemetery (a Muslim necropolis), including a Turkish gravestone of a local Muslim woman dated to 1807-1808. Other finds include glass parts from a large chandelier which used to hang under the dome of the mosque as well as small metal artifacts. The Lead Mosque (Kurshum Dzhamiya) is a 15th century mosque from the period of Ottoman Yoke (1396-1878/1912) when Bulgaria was part of the Ottoman Empire located in the central Bulgarian town of Karlovo, Plovdiv District. The Lead Mosque was built by Ottoman Turkish governor Karluzade Ali Bey in 1485 AD. It is the oldest standing archaeological, architectural, and historical monument in Karlovo. Its name comes from its lead roof. The Lead Mosque was last used for Muslim services at the end of the 19th century. It has the status of “a monument of culture of local importance” granted by the Bulgarian Ministry of Culture. 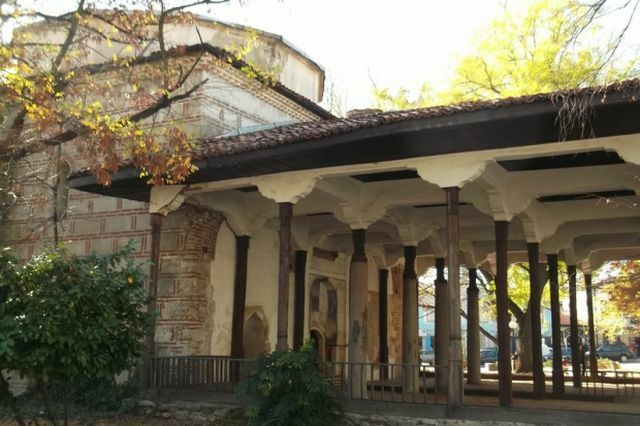 The mosque was supposed to be turned into a museum but in November 2013 the Regional Court in Plovdiv started a controversy by ruling to transfer the ownership of the mosque from Karlovo Municipality to the Bulgarian Chief Mufti’s Office. The case was just one of many cases in which the Chief Mufti’s Office tried to gain ownership over long-inactive mosques and former Ottoman waqf estates with the status of cultural monuments all over Bulgaria in municipalities with little or no Muslim population. Many in Bulgaria saw these attenots as an outside Islamist or Neo-Ottomanist conspiracy against the country. The case with the Lead Mosque and other long- inactive mosques in Stara Zagora, Kyustendil, and other Bulgarian cities was resolved in May 2015 when the Sofia Appellate Court ruled in favor of Karlovo Municipality, and against the Chief Mufti’s Office arguing that the present religious leadership of the Muslims in Bulgaria cannot be considered an heir to the institutionalized Muslim communities since Bulgaria’s National Liberation from the Ottoman Empire in 1878, i.e. the Muslim communities in the Principality (Knyazhestvo) of Bulgaria (1878-1908), the Tsardom of Bulgaria (1908-1944), and the People’s Republic of Bulgaria (1944-1989). This decision has allowed Karlovo Municipality to initiate the archaeological excavations of the Lead Mosque (Kurshum Dzhamiya) in order to have it researched and to turn it into a museum.